In a Sunday Telegraph op-ed, U.S. 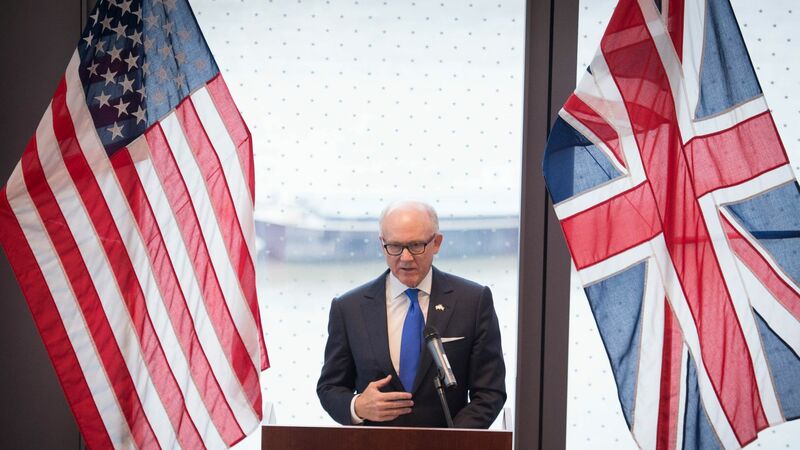 Ambassador to the United Kingdom Woody Johnson called on the British government to move on from the "flawed" Iran deal and side with President Trump in complying with Iranian sanctions. Why it matters: The U.K. is one of several countries, along with the EU, China and Russia, that has pledged to protect companies that continue to do business with Iran. Unlike those implemented prior to the 2015 nuclear deal, Trump's recent round of sanctions do not appear to have the broad international support necessary to apply maximum economic pressure on the Iranian regime.